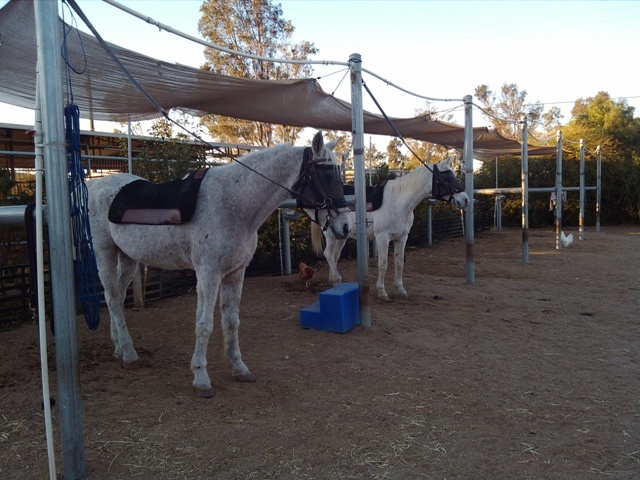 Boarding includes: worming, twice daily feeding and a tack box. 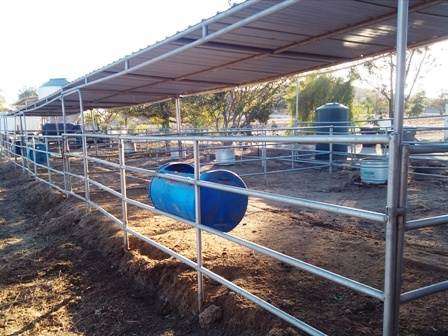 We have 8 -12x24 pipe corrals with 8x12 shelter and a mister system for the hot weather. 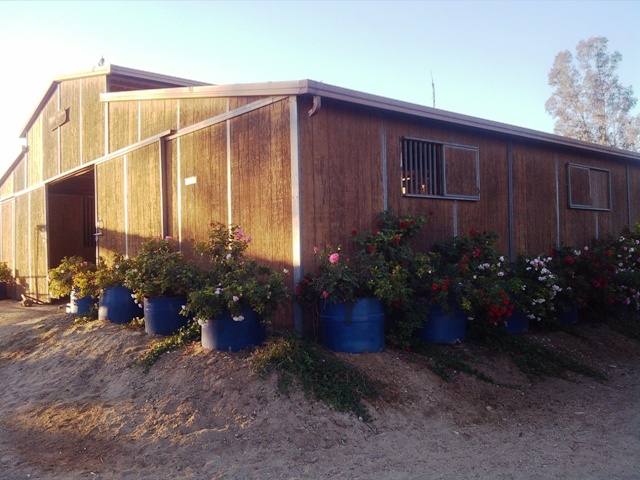 Our barn has 7 foaling size stalls (12x16) with a 16 foot aisle way, bathroom, tack boxes and more. 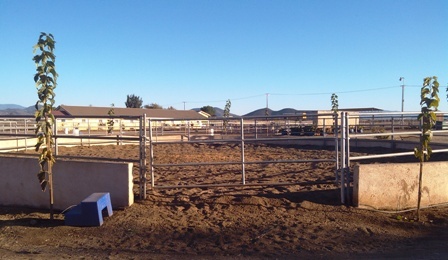 Our Mare Motel has 3- 24x24 and 2- 12x24. The stalls are half covered and are 6 foot weld wire. We have a round pen. 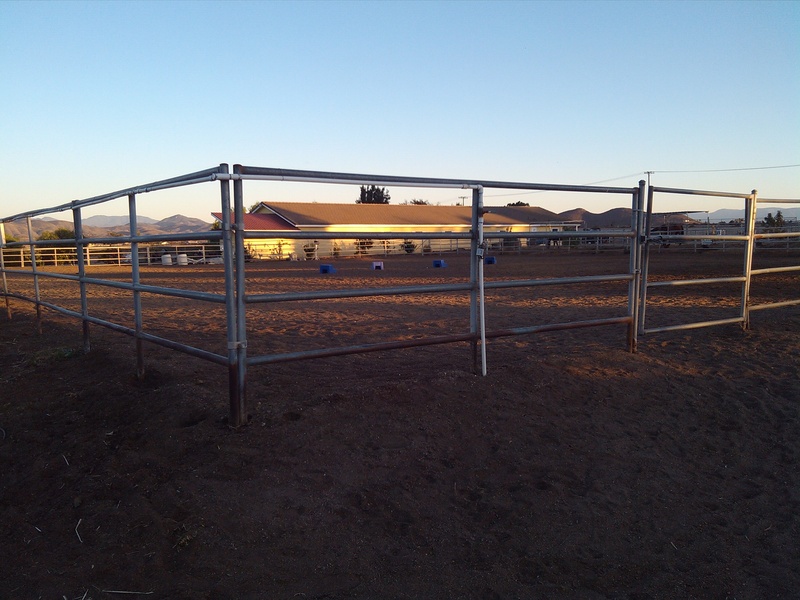 140x140 Pipe corral arena, with mister around the rail. 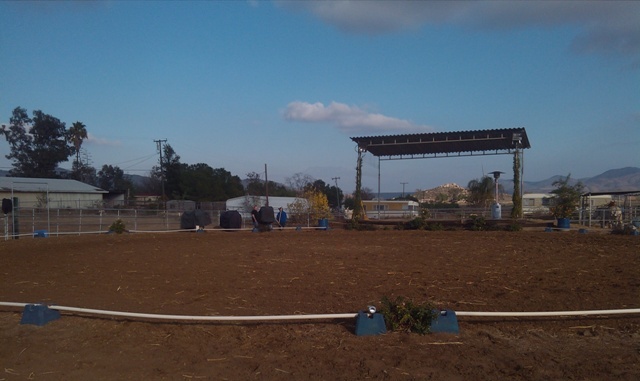 We have poles, barrels and jumps. We have LOTS of Trails available! We also have wash racks.